By day or night, these elegant 9ct yellow gold, cubic zirconia earrings offer chic, effortless style. The perfect gift for someone you care about. 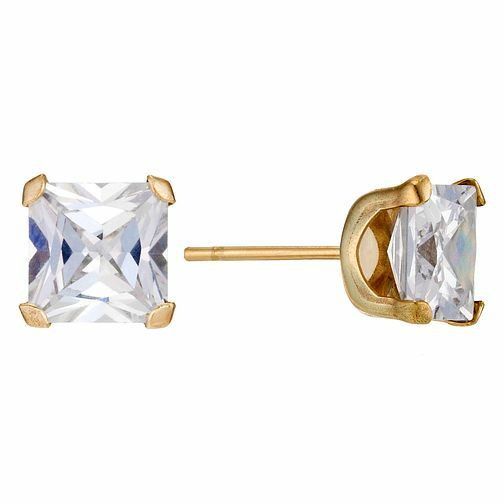 9ct Yellow Gold Cubic Zirconia 6mm Square Stud Earrings is rated 3.3 out of 5 by 4. Rated 5 out of 5 by Anonymous from Beautiful in quality and shine! I bought this product for my Mum's Birthday because she lost her pair a few years ago and has been wanting some just the same since. These earrings were perfect for her and she was so pleased to unwrap them; they looked lovely on.